Use: A perfect 100% natural body wash for all year round use. Great for summer use when anti-itch properties are needed the most to gently soothe and calm, sore bitten, irritated areas ensuring that the skin is kept itch free and healthy. 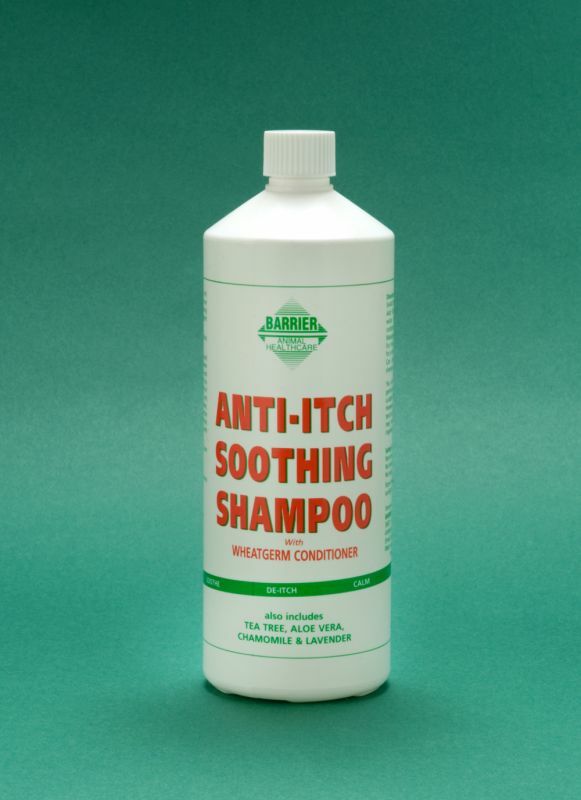 Can be used as a non-rinse wash for lightly soiled animals or as a more intense deep cleansing and conditioning shampoo for very itchy, scurfy and heavily soiled animals where thorough rinsing is required. Includes all the added benefits of Tea Tree, Aloe Vera, Chamomile and Lavender. Suitable for the most sensitive of skins. No Nasties! : Manufactured using 100% natural ingredients, that are safe to the animal, the user and to the environment. Contains no artificial thickeners, no gel agents which can be animal bi-products.